Global carbon dioxide (CO2) concentration has increased by around 40% from the pre-industrial period to today. It is expected to increase by even more by the end of the century. 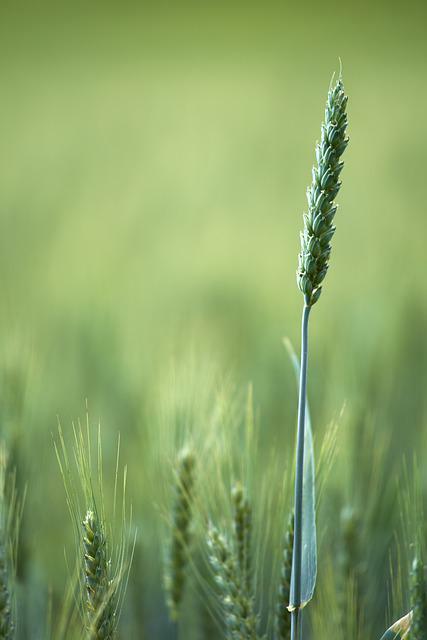 This influences crop yields, and Spanish researchers are investigating the effect of CO2 concentration on wheat. As part of their experiments they are using Windmill software to log temperature and humidity in Greenhouses. The scientists sowed Durum wheat seeds at an experimental farm in Salamanca. The wheat was covered by six greenhouses. Three greenhouses were kept at today's level of CO2 and three at the elevated level predicted by the end of the century. It was important to measure, amongst other things, the temperature and humidity of the greenhouses. To do this the team connected HMDSO sensors, from Vaisala, to a Microlink 751 data acquisition unit. They plugged the 751 into a computer running Windmill Logger software. Logger took temperature and humidity readings every hour throughout the season. It timestamped the readings and saved them in text files ready for analysis. The 751 unit is currently reduced from £595 to £295 at our on-line catalogue.